Workshop: 11:30 a.m. - 1:30 p.m.
Dr. Kenn Barron will speak about his work in student motivation in a presentation titled Motivation Demystified: Steps We All Can Take to Improve Student Motivation. He will also conduct a two-hour workshop for faculty on understanding the major sources of student motivation. Ideally knowledge of motivation theory and research would be used by all faculty to improve learning and instruction. However, because of its complexity, understanding motivation theory and research can be daunting. The purpose of this workshop is to simplify this complexity. Rather than describe multiple theoretical models of motivation, the presenter will present a single, unifying motivation formula to help you quickly understand the major sources of your students’ motivation. We will discuss how you can use this information to redesign your courses to promote each source. More seats may be made available. Please register for the wait list. Kenn Barron is a Professor of Psychology at James Madison University and Co-Director of the Motivation Research Institute. He received his Ph.D. in social/personality psychology from the University of Wisconsin-Madison in 1999, and began working at JMU in 2000. 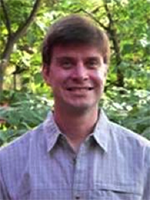 His research focuses on motivation and achievement in academic, sport, and work settings, and has appeared in the Journal of Personality and Social Psychology, the Journal of Educational Psychology, Contemporary Educational Psychology, Educational and Psychological Measurement, the Journal of Applied Sport Psychology, and the Educational Psychologist. He also regularly publishes and presents on topics related to the Scholarship of Teaching and Learning (SoTL) and research methodology. Kenn received his college's Outstanding Junior Faculty Award in 2004, and he has been nominated multiple times for his college's Distinguished Teacher and Distinguished Researcher Awards. He also received the Provost's Award for Freshmen Advising in 2007, the National Academic Advising Association's Outstanding Faculty Award in 2008, and JMU’s All Together One Award in 2009. In 2012, he was named a fellow of the American Psychological Association, and he was named one of Princeton Review’s Top 300 professors in America. Kenn regularly teaches coursework in research methods, statistics, motivation, and social psychology. In addition, he puts his knowledge of motivation into practice by coordinating JMU's Psychology Learning Community (PLC). The PLC is an integrated academic-residential program for first-year students. Students take part in a unique introduction to the field of psychology and jump start to the major through a series of curricular and co-curricular experiences designed specifically for them, while living together in the same freshmen residence hall. In the spring of 2001, a small group of faculty and graduate students in the Assessment and Measurement doctoral program at James Madison University started a weekly research group on student motivation. Over the years, the meetings grew substantially in faculty and student involvement and become a permanent fixture at the Center for Assessment and Research Studies. Established in 2005, the Motivation Research Institute (MRI) has been bringing together a community of faculty and students to conduct research on motivation-related topics. MRI’s mission is to promote a community of researchers and practitioners dedicated to advancing the study and application of motivation theory. Recently, the Institute has begun engaging in outreach and public service activities to help practitioners apply motivation theories and principles to real-world contexts.